It is said that when Waris Shah completed Heer, he showed it to his teacher. The latter was rather disappointed to see his talented student, instead of writing something on fiqh or shariah, had chosen to write a love story. 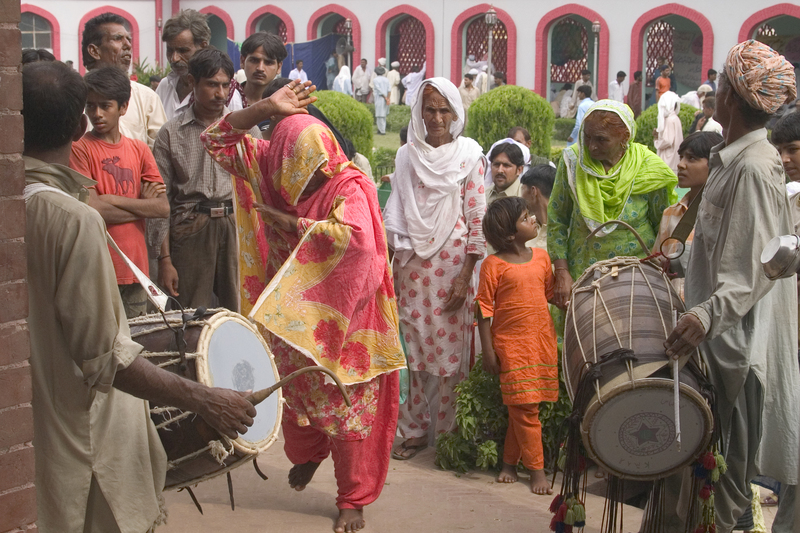 Note for WoP readers: Here is another post on that great folk tale of Punjab. It already appeared in Adil Najam’s blog. Even then I reproduce this for you, as I think Mast Qalandar is a guy who has done full justice to the leading Sufi poet of Punjab when he details this ever living legend in a very lucid, very absorbing style especially as a writer, who is not a native of Punjab. I myself would never have cast an iota of doubt over his being not a native had he not divulged it himself in this very write up. Of all the folk tales of Punjab, Waris Shah’s Heer is the most widely read, recited (actually, sung), commented upon and quoted love story. People have even done Ph. Ds on it. It is a very long poem, written in the Punjabi baint meter, comprising of 630 odd stanzas of 6 to 12 or more lines each.Waris Shah wrote it sometime in the 1760s. Rural folks in Punjab routinely gather, as they always did, at the end of a hard day’s work, under a tree or a chhapparh (thatched canopy) to smoke hukka and discuss and share the daily news, views and common problems. It is not uncommon at such gatherings for someone to sing a few passages from Heer. Folks listen to it, mesmerized both by the melody and its contents. Older people would often quote a line or two from Waris Shah’s Heer as a piece of wisdom in their conversations. In fact, Heer is quoted by the rural folks more often than any other traditional book of wisdom. The story of Heer and Ranjha, like all such stories, is partly true and partly fiction. But it continues to have such a powerful hold on the imagination of rural folk that they want to believe it to be true. Numerous people have written the story of Heer before and after Waris Shah, the earliest being Damodar and probably the latest being Ustad Daman. 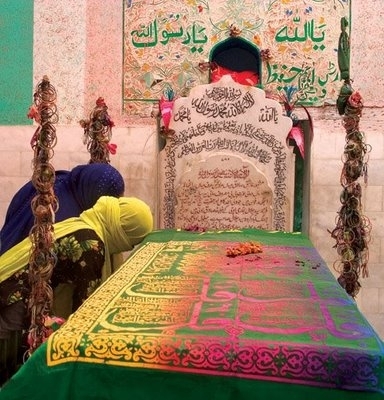 But it is only Waris Shah’s Heer that the world knows about – or cares to know about. By writing Heer, Waris Shah not only told a fascinating story but also raised the status of Punjabi from that of a rustic language, which was mostly a spoken language, to that of a language of literature. Many believe Waris Shah is to Punjabi what Chaucer and Shakespeare were to English or Sa’di was to Persian. 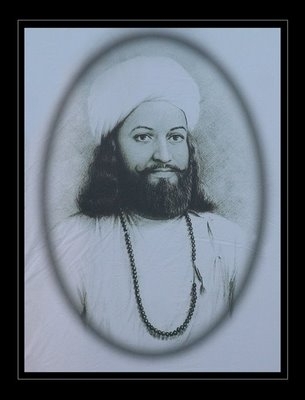 Waris Shah was born in a village in district Sheikhupura but studied at Kasur. He was a contemporary ofBulleh Shah and they are supposed to have studied at the same madrassah (not necessarily in the same class) under the tutorship of one Hafiz Ghulam Murtaza Makhdumi Kasuri. Waris Shah by all accounts was a spiritual man, well versed in Islamic theology, but he was more of a mystic than a “maulvi”. In fact, going through his Heer one cannot help but wonder if Waris Shah were alive today would he be able to, or allowed to, write a daring epic like Heer? He wrote the story while staying at the hujra (quarters) attached to a little mosque in village Malka Hans, which falls in district Pak-Pattan (old district Sahiwal). A devotee recites Heer Waris Shah, others in the audience listen attentively, engulfed in the magical, poetical world of Waris Shah. Shorn of all the embellishments and detail – the devil, in this case, though, literally lies in the embellishments and the detail – here is the story for those who may not have read it or heard it before. The events of the story are supposed to have occurred sometime in the middle of the 15th century. Ranjha (his given name was Deedho. Ranjha was his clan) was born in Takht Hazara, a town in district Sargodha, to a local landlord. He was the youngest of eight sons, and his father’s favorite. While others went about their daily chores Ranjha whiled away his time playing the flute that he loved so much. He grew long hair – longer than men usually wore those days – and was a very handsome young lad. 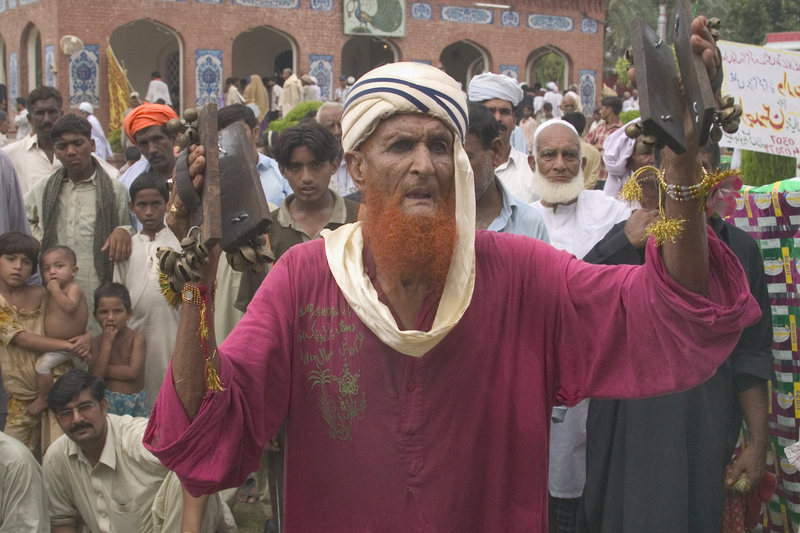 When their father died, a dispute arose between Ranjha and his brothers over the distribution of land. The brothers had apportioned the best land to themselves and gave Ranjha only the barren land. Ranjha, after a heated argument with his brothers, left home in protest. He headed aimlessly southward along the River Chenab until he reached somewhere near the present day Jhang where the Sayyal tribe ruled. The back and forth denunciations between the maulvi and Ranjha continue for some time. Interestingly, the village folks don’t seem to share the maulvi’s enthusiasm in denouncing Ranjha. They simply watch the scene as silent spectators. (Fortunately for Ranjha the blasphemy law was not in vogue then.) Anyway, Ranjha spends the night in the mosque and leaves early next morning. After a few days he ends up in Jhang. 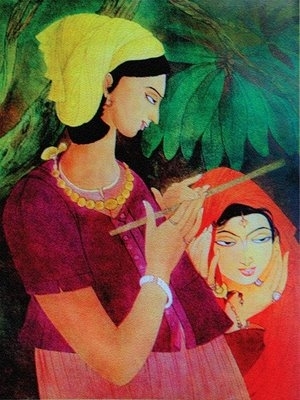 Heer, when she meets Ranjha, is instantly taken by his wild and romantic looks and the soulful tunes of his flute. She persuades her parents to hire Ranjha as a cowherd for their cattle. Ranjha is hired, and thus kindles a blazing romance between Heer and Ranjha that lasts for several years, and has since been recounted and sung for almost 250 years. The two lovers often meet in the forestland along the river (known as bela in Punjabi) where Ranjha takes the cattle to graze. While the cattles graze Ranjha plays his flute. And Heer listens by his side. The days and months pass in total bliss – and very fast. Heer’s uncle, Kaido, becomes suspicious and starts spying on her. He gathers sufficient evidence to report the matter to her parents. The parents admonish Heer on her conduct and warn her of terrible consequences. 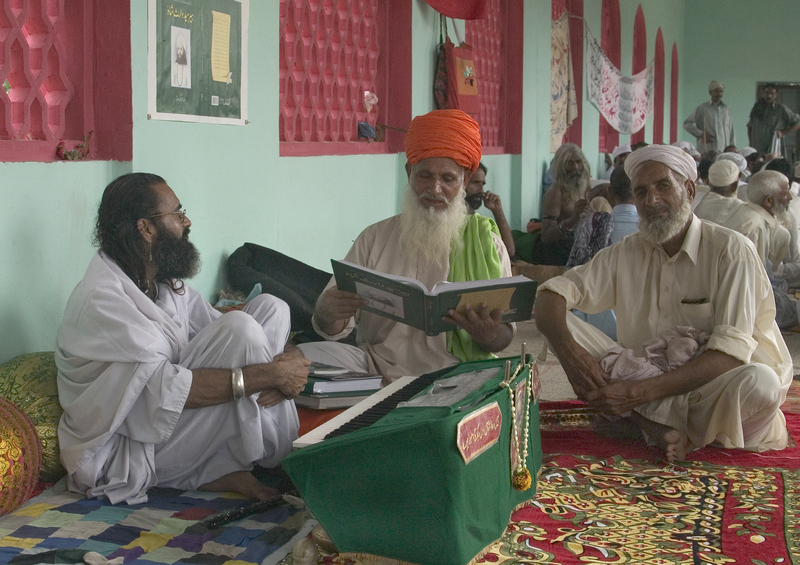 When Heer is not deterred they call in the village Qazi (a Muslim judge who decides disputes between people in the light of Sharia and also solemnizes marriages) to counsel her. “My nikah was already made with Ranjha in heavens by no less a person than the Prophet himself, and was blessed by God and witnessed by the four angels, Jibraeel, Mikael, Izarael and Israfeel . How can you dissolve my first nikah and marry me a second time to a stranger? How is that permissible? “. The Qazi is dumbfounded and angry, and tells Heer to shut up or “he will have her lashed with the whip of Sharia”, and goes ahead and solemnizes the marriage, anyway. After the ceremony Heer, in tears, is bundled off to Rangpur amidst great pomp and celebrations. Ranjha, alone and heartbroken, takes to the jungle and joins a group of jogis (yogis). Dressed like a jogi, with ash rubbed on his body, wearing large earrings and carrying a begging bowl, he goes from house to house and village to village seeking alms – and also trying to find the whereabouts of Heer. Meanwhile, Heer languishes in Rangpur, pinning for Ranjha. Eventually, Ranjha finds Heer’s village and Heer also comes to know through her friends that the young handsome jogi in town was no one else but Ranjha. The two meet and, with the help of Heer’s friends and her sister-in-law, Sehti, manage to elope one night. The Khairhas follow them and capture them in the territory of one Raja Adli (a raja, not to be confused with Ranjha of the story, is a ruler of a territory or state). The lovers are brought before the raja. He asks the local Qazi to decide the case according to the Muslim law. The Qazi, without much ado, declares that Heer belongs to Saida Khairha, her “lawful” husband. Heer and Ranjha are both devastated, but helpless. Coincidentally, a huge fire erupts in a part of the town. The village folks as well as the raja, being superstitious, are convinced that the fire was the result of the jogi’s prayer and might consume the whole town. The raja immediately proceeds to undo the “wrong” administered by the Qazi, stops the Khaihras from taking Heer away and holds court to hear the case anew. After listening to all the sides he decides to allow Heer to go with Ranjha. Joyful, Heer and Ranjha leave for Jhang Sayal expecting to live happily thereafter. However, the Sayyals, believing their honor was soiled by the unconventional behavior of Heer, conspire to “cleanse” their name of this ugly stain. While appearing to welcome the couple they suggest that Ranjha go home and bring a barat to take Heer as a wife in a proper conventional manner. Ranjha happily agrees and goes back to his brothers in Takht Hazara, who by now have forgotten their old quarrel and are also remorseful. He informs them of his planned marriage. Preparations begin for taking a colorful barat to Jhang and bring Heer home. Meanwhile the Sayals quietly poison Heer. She dies. A messenger is sent to Takht Hazara to inform Ranjha of the unexpected and sudden death of Heer. On hearing the news Ranjha collapses and dies there and then. Thus ended the lives of Heer and Ranjha. 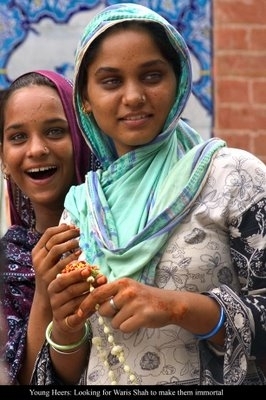 But they continue to live in the hearts and hearths of the people across Punjab and elsewhere – and so does Warish Shah. An old devotee indulges into dhamal, paying tribute to the memory of Punjab’s great poet and a Sufi. Mast Qalandar is a Pakistani writer based in Islamabad. Previous PostIs Zardari, the New Musharraf? So loving and heart touching love story. Thanx Sanjay for your visit and comment. We are inspired to have your comment on our post ‘Folk tales of Pakistan – Heer Ranjha’. Thanx, appreciate your work from core of my heart. Every folk tale has an important message for us. We must understand that message………. i have to do research thesis on heer ranjha. can i get translated haaer ranjha in dialogue form? I do not know whether it’s just me or if perhaps everybody else encountering problems with your site. It looks like some of the written text within your posts are running off the screen. Can someone else please provide feedback and let me know if this is happening to them too? This might be a issue with my internet browser because I’ve had this happen previously. I’ve read some good stuff here. Definitely price bookmarking for revisiting. I surprise how much attempt you place to create one of these magnificent informative site. your blog posts. Any way I’ll be subscribing for your augment or even I success you access consistently fast. I am really inspired with your writing talents and also with the format for your blog. Anyway stay up the nice quality writing, it’s rare to see a nice weblog like this one today..
i have read about Sohni Mahiwal and i really enjoyed the conversation between sohni ahd potter. its really amazing .plz upload full stories thanks.